An innovative educational film workshop that encourages youth to critically reflect on memorials in their living environment. Young participants are trained to conduct research on monuments and explore the relevance of the monuments for themselves and their community in present-day society. This project aims to create awareness on the importance of monuments and their contested histories, while also generating critical thinking about the way such monuments are used. Participants get to not only develop their research skills, but also learn about filmmaking and how to interview local people about social issues. The purpose of these videos which are created by the participants themselves with the guidance of experts, is to trigger a debate about the commemorated events or people in history. Participants work together to create a short video clip about a specific monument, exploring its reason for existence, its role in societal commemoration, possible controversies and disagreements about the monument. As well as its perceived significance for the past, present and future. Afterwards they go on a monument tour of their city and learn to ‘read’ the different monuments around them. Following the monument tour, the participants spend the day interviewing and filming. Focusing on a specific monument, they interview and film people in the street, asking them various questions about their chosen monument. When they have gathered all their footage, a day is spent learning how to edit their videos and creating a short 3-5 minute film with the interviews they conducted the previous day. On the final day all the films are screened, sometimes as a public event, and a closing ceremony takes place. This educational film workshop encourages critical reflection and exploration of monuments related to the historical and cultural heritage. By engaging young people with the topic of memoralization, they reflect on the monuments and their contested and untold histories. 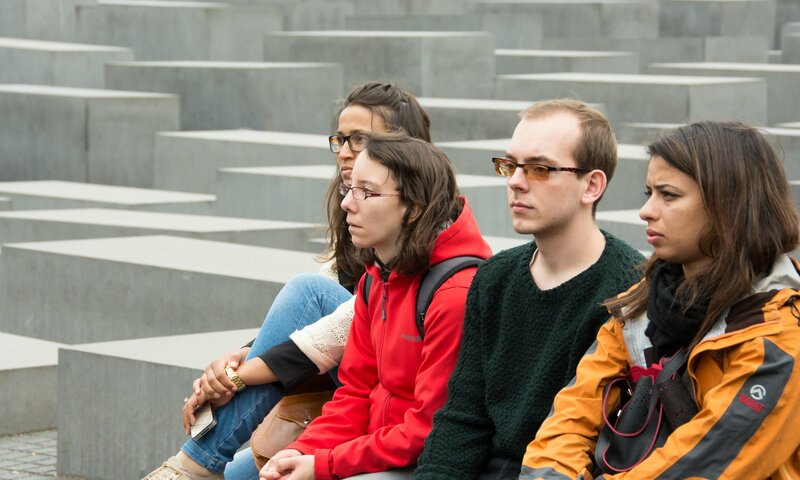 Young people are provided with the opportunity of learning from experts and historical witnesses, and consequently deepening their understanding of remembrance and the function of monuments. By actively exploring the messages behind the monuments, they will gain more awareness of the complexity of the contested history. Which in turn promotes active citizenship, and awareness about the youth’s roles and responsibilities in remembering the past. They are encouraged to apply those insights into their own community and to reflect on how they can get involved in the public representation of the past in the present. The participants get to exchange their ideas and views in an intercultural context; and are trained to do research, interview people and acquire useful filmmaking skills by using digital media tools for reflection and dialogue. On the Memory Walk YouTube Channel you can view all the Memory Walk Films made worldwide.